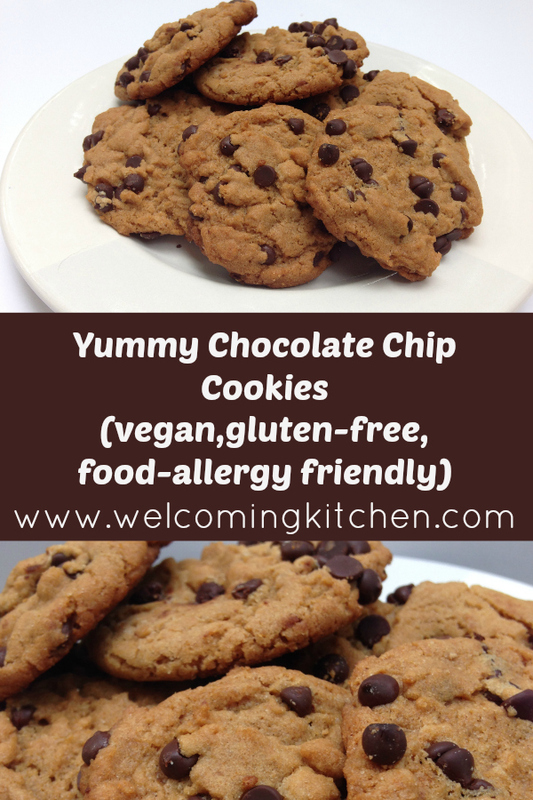 These cookies are delicious, but can be a little fragile because of the oat flour. Make sure to cool them completely before serving. Store extra cookies (if there are any left!) in the freezer; this will make them sturdier. Combine flour, baking soda, and salt in a medium bowl. Set aside. In a large bowl, combine applesauce and baking powder. Add oil, brown sugar, and vanilla to applesauce mixture. Add dry ingredients to wet one half at a time. Stir just to combine. Stir in chocolate chips. Drop batter by the tablespoon onto ungreased cookie sheets ( or cookie sheets covered with parchment paper). Bake 10-12 minutes. Let cool on cookie sheets for about 3 minutes before moving to a cooling rack to cool completely. add dry ingredients to wet on half at a time. Stir just to combine. Stir in chocolate chips. Drop batter by the tablespoon onto an ungreased cookie sheet (or cookie sheets covered with parchment paper). Bake 10-12 minutes. Let cook on cookie sheets for about 3 minutes before moving to a cooling rack to cool completely.